“We solve our problem by solving their problem.” With that, Phil Coulson explains the entire arc of the “Agents Of Hydra” storyline, and lays out the plan for the rest of the season. Since entering the Framework, the push and pull between the digital-only existence of the avatars surrounding them and the honesty of the emotional outpouring these codes are capable of has eaten away at Daisy and Jemma’s sense of obligation. Last week, Simmons couldn’t deny the truth of the bond shared between Mack and Hope, despite her insistence these compositions of ones and zeroes were nothing more than a meaningless distraction from the flesh-and-blood souls trapped within this world. And in one succinct line, Coulson sidesteps the larger existential questions to focus on necessity: To escape from the Framework, they need to save the Framework from its own darkest consequences. And that overlap is what makes ”Agents of Hydra” the most consistently entertaining arc the series has ever done. The show has had higher highs, but never this constant a level of quality. 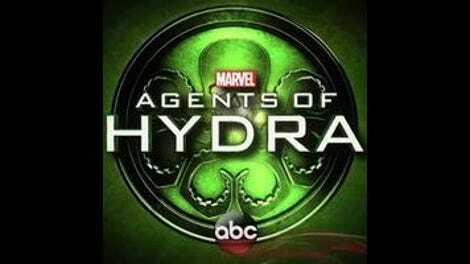 I’ve argued several times of late that Agents Of S.H.I.E.L.D. has been getting steadily better each season, and even in a year that had strong arcs like “Ghost Rider” and “LMD,” this final storyline tops them all. It has yet to stumble, and a lot of that consistency stems from the way the show has essentially managed to create an alternate reality where it can work out longstanding issues and address unfinished character beats, all while smartly delivering action and thrills. 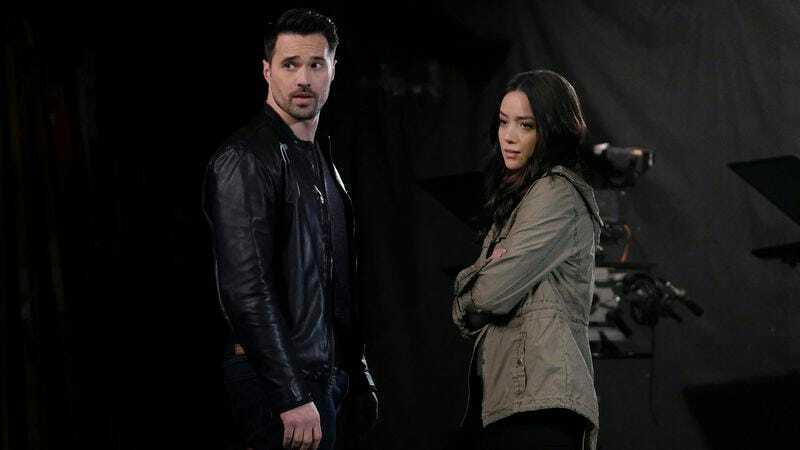 Each episode has been another opportunity to call back to previous moments from throughout the series, whether it’s the traumatic life of Grant Ward, the too-abrupt death of Agent Triplett, or the evolution of Phil Coulson’s morality. By weaving these elements of character development and relationship-building (or -ending) among the beats of the Framework struggle, the show is getting a rare chance to rework any lingering issues in a more satisfactory manner. And insofar as this keeps working, it’s managed to turn the TV equivalent of a fun B-movie into a superior television show. It can’t last—they have to leave the Framework at some point—but it’s an incredibly enjoyable journey while it lasts. “All The Madame’s Men” kicks off with the return of Sunil Bakshi, whose oily smirking persona in the Framework managed to turn his Hydra bona fides into a gig as the public face of Hydra propaganda. Best of all, what appears at first glance to be a cute way to return the character turns into the key element to S.H.I.E.L.D.’s plan to generate public outrage and turn popular opinion against its enemy. Broadcasting the truth across the airwaves appears to be a recurring theme in Whedon-generated work; here, it doubles as the way to signify that digital life is just as important as natural. More so than the slightly-too-common scenes of Mack yet again having a touching moment with his Framework-only daughter, the choice to rally this world against Hydra testifies to the degree Daisy and Jemma are finally starting to see these people as real. Combined with the knowledge Radcliffe died in the real world, the obligation to help takes on significance beyond getting people outside S.H.I.E.L.D. to help them fight Hydra. As has been the case with all these episodes, Grant Ward is the V.I.P. of the show’s argument for nurture over nature. I kept waiting—as did Jemma and Daisy, no doubt—for Ward to flip on them all, to reveal he was actually a Hydra triple-agent, and screw everyone over again. But even after he calls out Daisy’s plan to escape the Framework without him (“By us, you don’t mean me,” he says, sadly) and is left not knowing if he’ll even get his version of Skye back after all this, he volunteers to keep the signal broadcasting as long as he draws breath. Being recruited by Victoria Hand instead of John Garrett changed the course of Ward’s life. It made him the good person he always wanted to be—his loyalty was directed to noble ends, rather than sinister ones that exploited his abused past and turned him reprehensible. By proving he’s not like the “other Ward,” he ironically demonstrates how the real-world Ward, however misguided, genuinely did have convictions and people he loved. Those speeches about wanting to be on Skye’s side that he kept giving at the beginning of season two? They look a lot more convincing, now. Everyone is reverting back to their true nature, according to Aida/Ophelia (or “Madame Hydra,” if you’re feeling especially comic book-ish), but what does that mean for Fitz? “He’s a romantic,” Aida says with a supercilious smile. In this world, whatever character growth Jemma brought out in him never happened, so he remained faithful to his father’s depraved, monstrous view of what it means to be a man. While it was fascinating to learn in the real world Fitz’s father is “a pathetic drunk,” implying Fitz is the one that turned his back, rather than the other way around, here, that connection means Fitz is still trying to embody an impossible position—one he honestly thinks is noble, in his own misguided way. Creating a machine that can provide Aida with a flesh-and-blood body fulfills the A.I.’s dream of being human, of experiencing sensations and feelings she currently thinks are beyond her ken. We know she’s programmed to feel pain—I wonder how it felt to get blasted out of the Triskelion by Daisy? Jemma and Trip manage to locate Ivanov’s base, only to realize the machine is being built in reality, not in their world. And it gives us a chance to see Jemma wistfully enjoy Trip’s company a little while longer. This is pie-in-the-sky thinking, but if Aida can bring digital Fitz over, can we please get a real-life good guy Ward at the same time? I’m really enjoying rebooted Grant Ward. I get the impression Ming-Na Wen really likes doing her own stunts. That Matrix-esque flip-and-shoot she executes during Daisy and her escaping from the Triskelion was a bit cheesy but tremendous fun. Coulson really had the most evolution (or reverting, rather) to his true nature, perhaps best exemplified by his conversation with Ward where he quickly goes from S.H.I.E.L.D. newbie to dispenser of sage wisdom.